Share the post "Treatment Options for Uterine Fibroids"
Fibroid treatment costs exceed $21 billion a year. 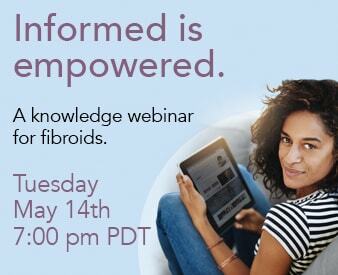 Learn about the most cost effective and viable treatment options available to women suffering from troublesome fibroids. Uterine Fibroid Embolization was back in the spotlight in a recent NY Times article. Author Jane Brody gave a candid account of the experience of a close friend having trouble with uterine fibroids. Her friend had the typical symptoms associated with fibroids: heavy bleeding, iron deficiency and an enlarged uterus. Although her friend opted to do nothing and wait for menopause to shrink the fibroids (which did not happen), Ms. Brody was moved to explore and present treatment options in her article published on October 12th. Treatment options included Hysterectomy, Myomectomy, Drugs, Embolization and M.R.I. – Guided Ultrasound. Uterine Fibroid Embolization was found to be the most viable solution. Doctors stated that 80% of women with fibroids are likely candidates for the procedure and that women should ask about UFE when told surgery is the only option to correct troublesome fibroids. Fibroid treatment costs exceed $21 billion a year, not to mention the reduced quality of life they cause. UFE is the most cost effective treatment when comparing it to hysterectomy or myomectomy and is the least invasive procedure with minimal recovery time. Click here to learn more about fibroid embolization.